adjunct to professional sports training and physical rehabilitation of all kinds. capacity and circulation through deep, healthy breathing is a primary focus. Strength and flexibility, particularly of the abdomen and back muscles. control of the body, and that capacity spills over into other areas of one’s life. 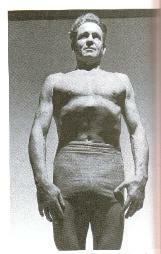 physical regiments including body building, gymnastics, skiing, and diving. philosophies of attaining and maintaining physical and mental perfection. 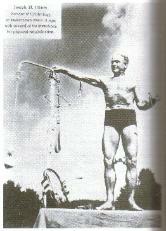 brother toured England with a circus, performing as a live Greek statue act. because he didn't like the direction Germany was heading in politically. refined treatise of his philosophy. year until her retirement around 1970. She passed away in 1976.
components of his greater vision of a universal paradigm for healthy living.